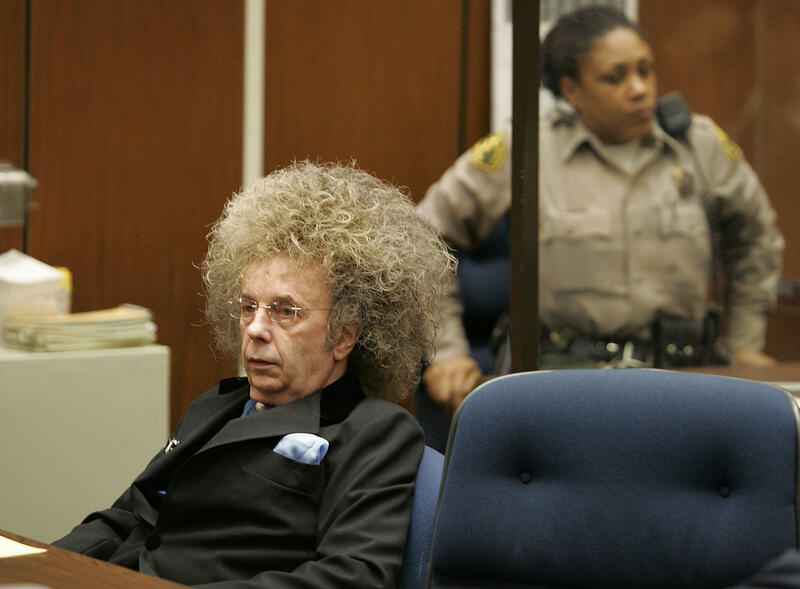 Music producer Phil Spector, who was convicted in 2009 of killing actress Lana Clarkson in 2003, might be best known to younger generations for the huge hair he sported during his trial in 2005. The Rock & Roll Hall of Famer was also known for rotating through several other wigs, but now a new mugshot shows him completely bald and with prominent hearing aids. The photo was taken in June and provided Tuesday by the California Department of Corrections and Rehabilitation. The mugshot shows the 76-year-old smiling broadly and wearing hearing aids on both ears. Spector is serving a sentence of 19 years to life. He was best known for his work behind hits like "Da Doo Ron Ron" and "You've Lost That Loving Feeling." Filmmaker Vikram Jayanti, who directed the documentary "The Agony and the Ecstasy of Phil Spector," told Billboard in 2010 that when he asked Spector about the wigs, he denied wearing them. "He said, 'What wig?'" Jayanti recalled. "And I said, All your wigs. And he said, 'I don't have any wigs... Who have you been talking to?'" Spector was also the subject of HBO's 2013 movie "Phil Spector."